The awesome thing about watching Disney movies is that you get to watch two movies for the price of one! The first is usually an animated short from the studios, and lasts more than 5 minutes. For example, in 2012 when they released Wreck-It-Ralph, the film that was showing was called Paperman. If you have forgotten, or have not watched it, your wonderful talking Evilbean has embedded the video here. It's a cute little love story, just watch it! 2. Walt Disney's voice, which is the voice of Mickey Mouse, was pulled out from all the dialogue of the videos from 1928 to 1946. It took the production crew THREE AND A HALF MONTHS to do it. *Double gasps* They had everything except the word red, so their associate director went through and pulled a 'arr', 'eh', 'deh' out of Walt's dialogue to create the word red! It's a delightful short that makes little children in the theatres, as well as the inner kid in you, giggle at the ridiculous body gags from the characters. After the animated short, it will be time to get FROZEN and be enchanted in this winter musical fairytale. "YOU RAISE ME UPPPP, SO I CAN STAND ON MOUNTAINS.."
Synopsis: So 2 sisters in a castle. The older sister, Elsa has MAGICAL POWERS - the power to freeze. The younger sis, Anna, is a level 1 noob so, no powers. When they were young, the level 1 noob ask the ice mage to entertain her with her freezing powers. Elsa, unable to control her powers, accidentally injure her sister with her powers while entertaining her noob sister. So their parents lock themselves up in the castle, afraid that people will call their daughter a monster, and hoping that their ice mage will one day be able to control her powers. But she can't, because she has on her 2x experience points or something, her powers kept growing. Okay this is starting to sound like MapleStory. The story did not really say why she got the powers and why her powers kept growing. Then came the day where the ice mage has to get married, and they have to open up their castle to visitors... DENG DENG DENG DENG! Trouble ensues. Review: I have a bias towards musical because music makes everything beautiful, don't you agree? The soundtracks for this movie is wonderfully delightful, and the tune just catches onto you in a magical, childlike manner. You will KEEP HUMMING the tunes, just like those kids who kept saying "BEE-DO-BEE-DO" after Despicable Me 2. 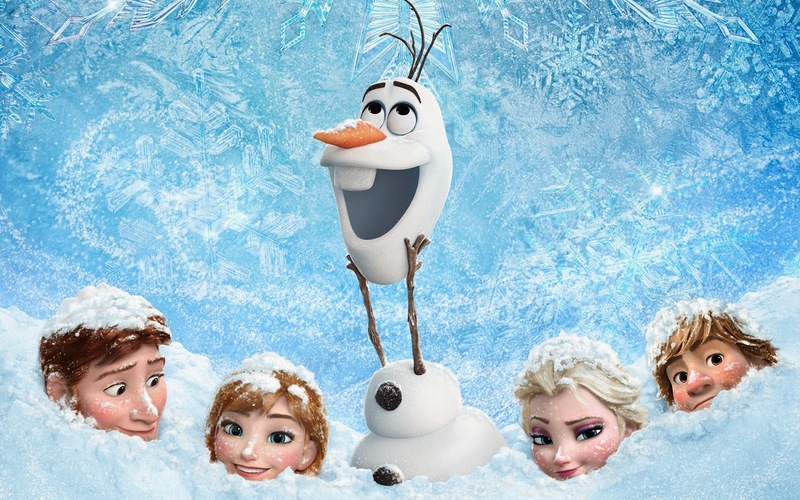 For bros, I assure you that your girlfriend will randomly sing you "Do you want to build a snowman?" after the movie. The storyline is full of twists, the pacing is just right and the soundtracks just give you little tingling sensations when you hear them. The setting and the graphics are also gorgeously drawn and animated that you will fully immerse yourself in the movie for the full 108 minutes! Stay back for: There's a 20 second clip after the credits where Elsa's snow monster, finds the tiara that she wore. He put it on his head and smiles. Awesome awesome movie for this festive season! You HAVE to catch this! One thing though, for those that have caught the movie - don't you all think that the personality of little Anna is like Agnes from Despicable Me?